Flip-flop season is here. Are your feet ready? Or do you have unsightly nail fungus? Have you unsuccessfully tried other nail fungus products? I have. That's why I wanted to share this product, Fungix with all of my readers. There's over 20 years of scientific research backing this fungus treatment. Fungix is uniquely formulated to target deep-rooted fungal infections , as well as reduce pain and the severity of other symptoms. Most other nail fungus treatment formulas use synthetic anti-fungal agents that are not effective against many forms of fungi. So they cannot truthfully live up to their claims. Fungix provides a dual- action response by both addressing the causes of nail fungus to stop infection, plus managing the symptoms to reduce the severity and pain. Fungix works to stop pain which can inhibit your ability to walk or use your hands properly and gets rid of your nail fungal infection fast and efficiently. 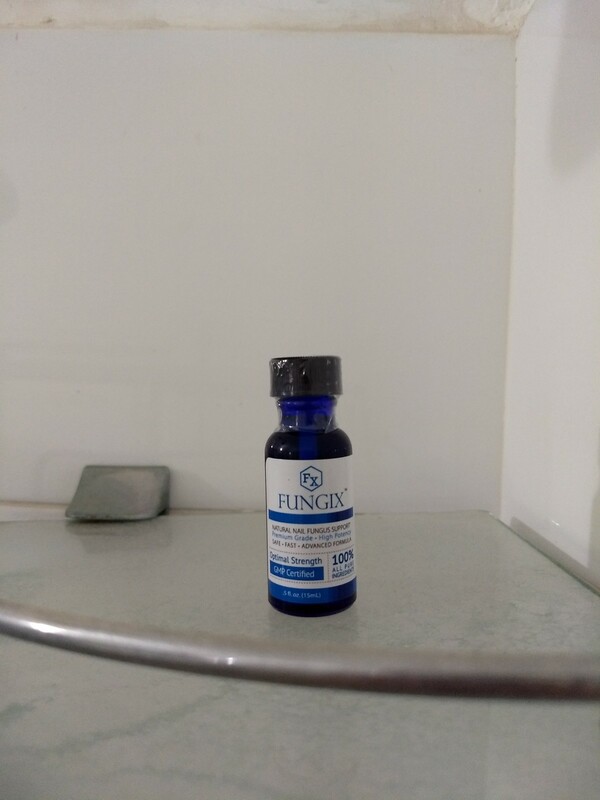 The powerful anti-fungal and anti-bacterial properties in Fungix, penetrate the deeper layers underneath the nails, eliminating persistant infections at their source. Improves the surrounding skin health to speed up the healing process. Fungix contians ingredients which promote healing and nail hydration, helping to restore original integrity, shape , and color of the nails. The potent ingredients in Fungix not only eliminate the fungal infection and foul smell,but also restore the natural structure and quality of the nails bringing them back to their natural color , shine, and original thickness. I received this product at a discount to faciltate this review.